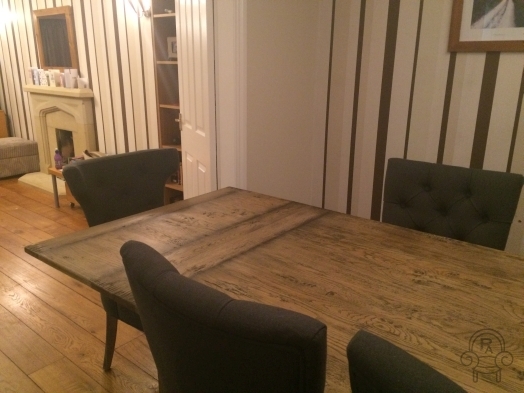 This customer has sent some photographs of her dining room featuring our rustic oak extending ‘Madrid’ table and our new upholstered ‘Loire’ and ‘Brittany’ dining chairs. We love how these contrasting styles come together — the rustic distressed table, with the luxurious French inspired dining chairs. 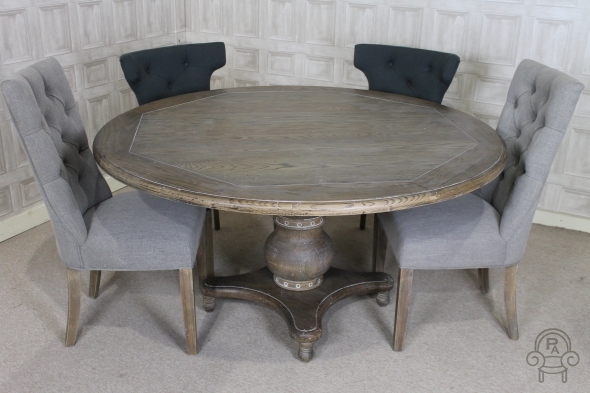 The 2m ‘Madrid’ table features an oak top and a lovely distressed painted base. 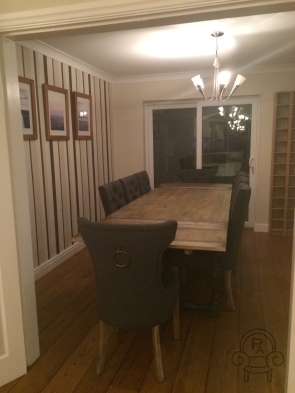 Below, you can see the table extended to its full length of 3m. 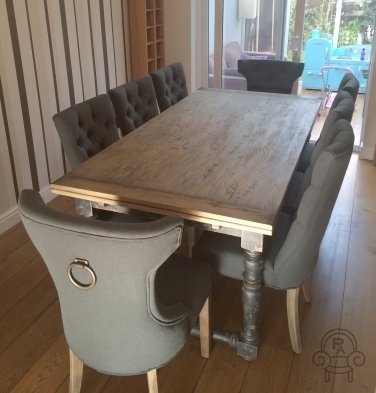 These upholstered chairs in pewter grey have a distressed finish to the exposed timber, which beautifully complements the lightly distressed oak table top. Here, the winged ‘Loire’ chair has been used as a carver, and the more simplistic ‘Brittany’ dining chairs have been added as side chairs. 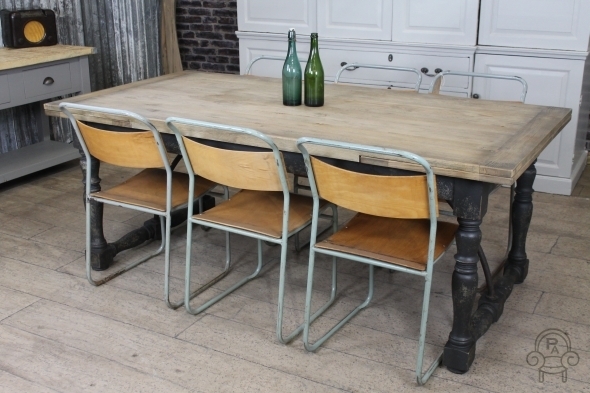 Both the ‘Brittany’ and ‘Loire’ chairs are also available in stone.